If the Internet is the first place you turn when health symptoms crop up or you receive a new diagnosis, you’re not alone. Surveys indicate between 60 and 80 percent of people who use the Internet have used it to research health and medical information. 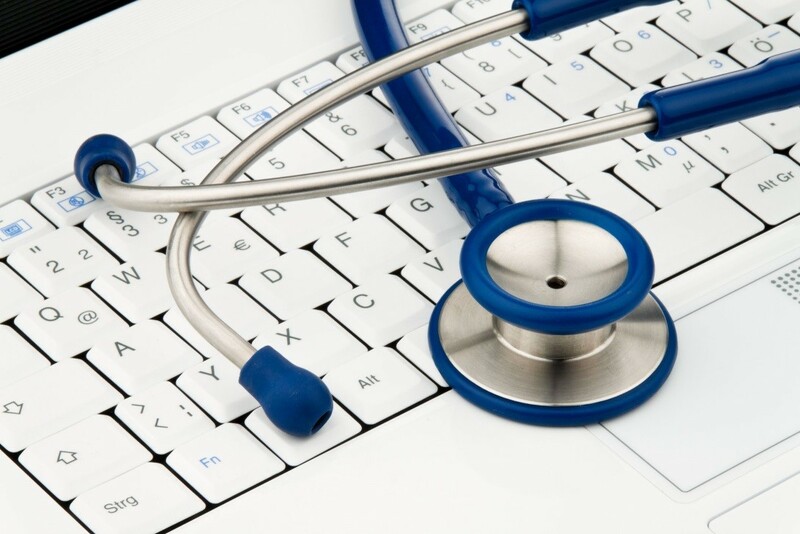 The Web has given patients access to more medical information than ever before. Increased access to health care information is empowering today’s patients to take the lead when it comes to their own health. But that’s not the only way the Internet is changing health care. Technological advances are also changing the way patients seek care and the way care is delivered. Patients increasingly rely on the Internet to interact with their doctors, and doctors rely more and more on communication technologies to collaborate with one another. When you go to school online to earn your MS in Health Administration with a specialization in informatics, you’ll be prepared to face the increasing role of data systems, infrastructure and exchange in health care. Perhaps the biggest change the Internet has brought to the health care industry lies in making accurate health care information available to the masses. No longer is one’s health care provider the only source of medical information. These days, the first thing most people do when they come down with a lasting headache, a case of the sniffles, a weird rash or any other new medical symptom is turn to Dr. Google for a list of possible diagnoses. Today’s patients frequently appear in doctors’ offices armed with printed pages of information gleaned online. Many don’t even go to the doctor right away — they use the Internet to find out how they might safely, quickly and easily treat their symptoms at home. Once a diagnosis is received, patients go back to the Web, where they look for more information about their condition, research treatment options and reach out to others who share their diagnosis. Doctors don’t often use Skype, Facebook or Twitter to interact with patients, because security concerns could compromise patients’ legal rights to privacy. But that doesn’t mean care providers aren’t using Internet communication technology to consult with patients using video conferencing, email and Web tools. Thanks to teleconferencing and videoconferencing tools, doctors can collect diagnostic information from patients anywhere in the world and deliver a treatment plan, or forward information on to colleagues and specialists if necessary. Because teleconferencing technologies allow doctors to consult with patients from a distance, they are increasing health care access to people in remote locations, people who don’t have access to specialists where they live and people in the developing world. People who are housebound, or who can’t afford to take time off work for an appointment during office hours, can now access medical care. People struggling with mental illness perhaps stand to benefit the most from telemedicine. Almost 25 percent of people coping with mental illness currently aren’t receiving any help for their condition. As telemedicine becomes more common, more of these people will be able to receive the psychotherapy they need — over the Internet. Telemedicine is also lowering costs. Tools like Zipnosis allow patients to fill out a short questionnaire and receive a diagnosis and a prescription for one of several minor medical ailments, at a fraction of the cost of visiting a family physician or urgent care provider. Health care providers may not be able to offer patient-specific advice using social media, but patients can use these networks to come together and support one another as they go through one of life’s hardest struggles — coping with an illness. Patients use Facebook, Twitter, Tumblr and illness-specific discussion boards and chat forums to offer one another support and advice. Doctor rating sites allow patients to share their opinions of specific providers. New social media networks are popping up to help patients connect with far-flung friends and relatives without broadcasting private medical struggles to the world at large. CaringBridge.org, for example, allows users to build free profiles where they can share information, photos and updates with loved ones during a medical event. The Internet is changing health care. It’s giving patients the tools they need to actively collaborate in their own care, and expanding care access to those who need it most. As technology continues to advance, patients and care providers alike will increasingly rely on the Internet to improve the quality and speed of health care and health information.